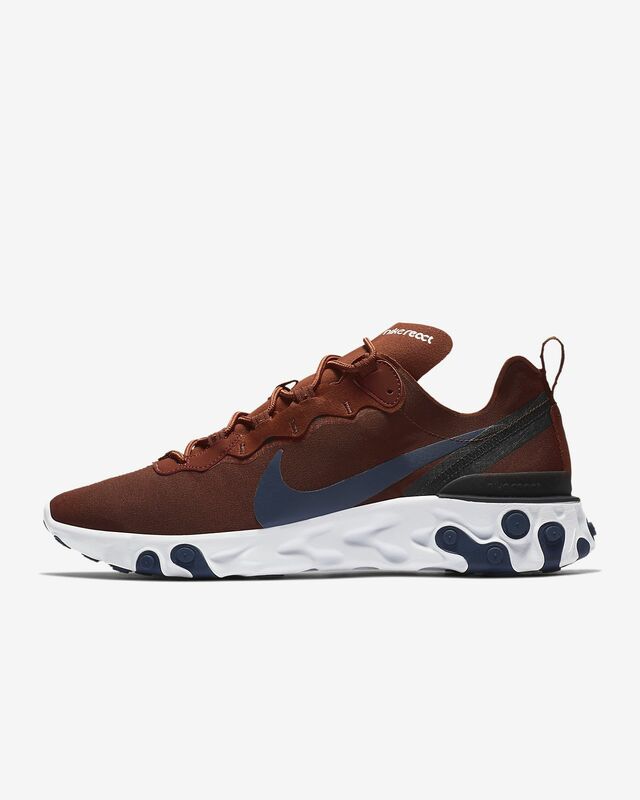 The Nike React Element 55 Shoe borrows design lines from heritage runners like the Nike Internationalist and then places it all on Nike React technology. A lightweight textile and synthetic upper has a subtle sheen for an elevated look. Nike React technology delivers an extremely smooth ride. Rubber pods on the midsole and outsole provide durable traction. Eyestay foxing follows the wavy design lines of the eyestays of the Nike Internationalist. A TPU heel clip provides a stable feel. A pull tab at the heel provides easy on and off. Extending to the midsole, springy rubber nodules are strategically placed at the front and heel of the outsole to deliver great grip. The shoes look great but I find them uncomfortable. Don't me wrong, the react sole is very springy and on par with adidas ultraboost. But the heel area really rubs. I've tried going barefoot, wearing trainer socks and normal socks. The heel area still digs into my ankle and it's drawn blood a few times. I've tried tying them up tighter but no change. I don't like cut ankles. I also don't like the thin loose tongue, it's easy for the tongue to fold back in itself when you're putting your feet in. Also I find it a bit too slippery when walking on wet ground. 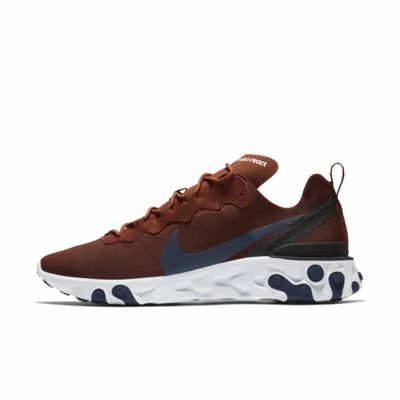 TLDR: Pros: Looks good, stylish, react sole is comfortable. Cons: Uncomfortable, tongue too thin, not stable enough. If it was a flyknit bootie style...I would reconsider.